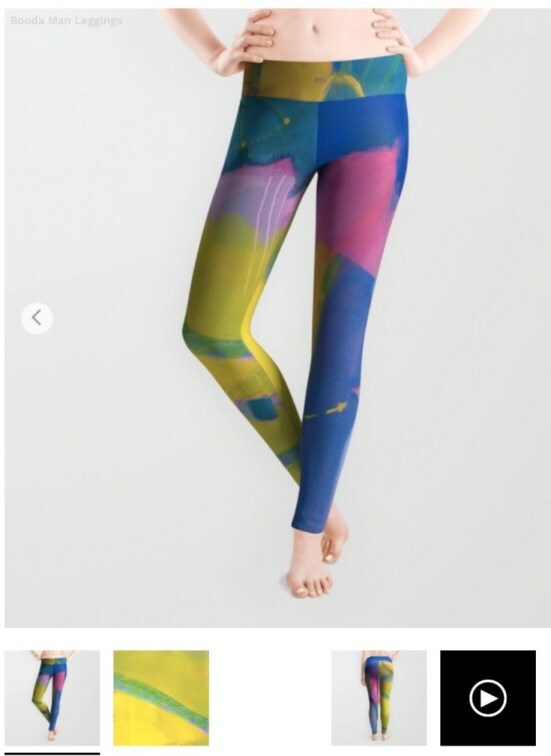 Art Of Where is based in Canada - they are a favorite because I can print fabric, they are women owned, use local fabrics, produce large and X Large on request (just place your order and then email them with special requests), and their leggings are a high rise - just below the naval. 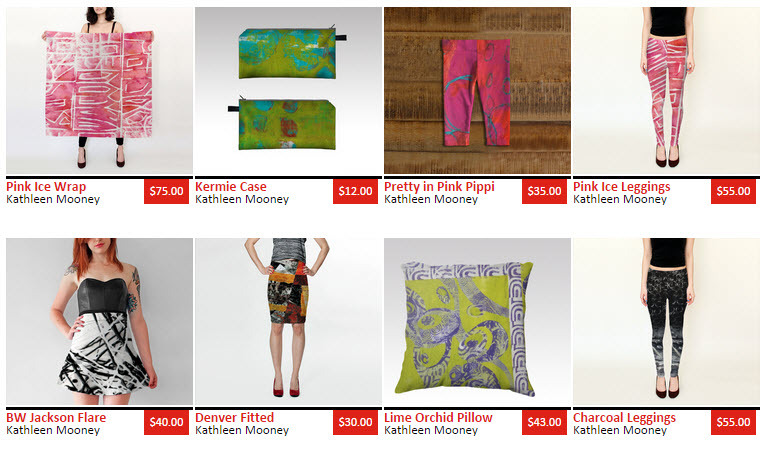 Society6 from California produces a full line of consumer goods including lower priced leggings (though these are fixed sizes and low rise). They will print my art on paper or cavas and deliver it to you framed (in your choice of attractive frames) and ready to hang! 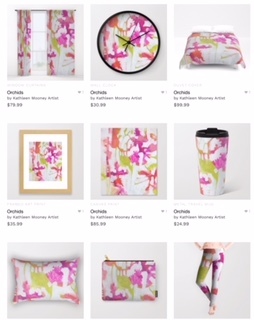 Check out the whole story in my Society6 store. Copyright © 2019 KATHLEEN MOONEY ARTIST. All rights reserved.